Paradise Theatre‘s production of “Nunsense” will go on as scheduled this weekend … just not on the company’s new stage. Week 2 of the show will by hosted by the Gig Harbor Eagles club at 4425 Burnham Dr. Showtimes will be as scheduled, with 7:30 p.m. curtains on Feb. 26 and 27 and a 2 p.m. Saturday matinee on Feb. 27, as well. Permitting delays have prevented Paradise from occupying its interim home at 3114 Judson St. Performances of “Nunsense’s” opening weekend were hosted by the Best Western Plus Wesley Inn and Suites in Gig Harbor. Paradise has been working on the Judson Street site since losing its former venue, on Burnham Drive north of town, to new development. 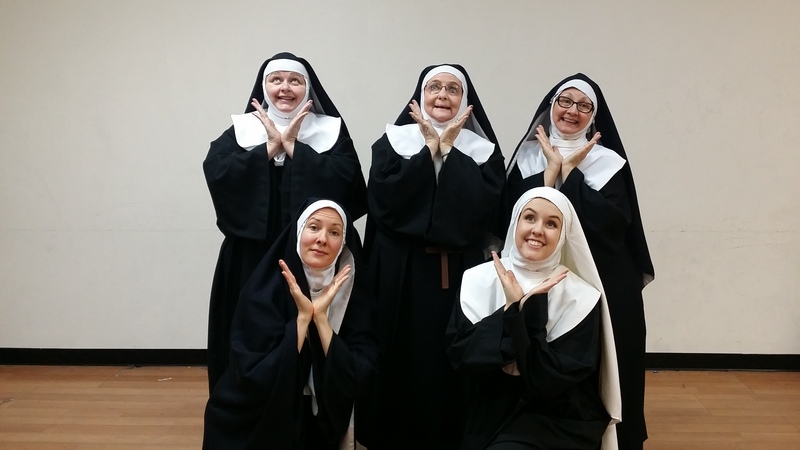 The possibility remains that “Nunsense” actually be performed in the Judson Street venue for the final weekend of the run, March 4 and 5.